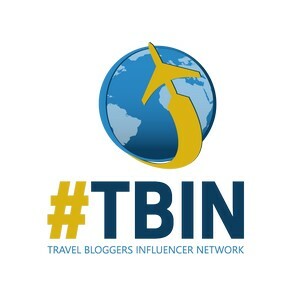 Travel Ontario, Canada – African Lion Safari by Habeeb Salloum. 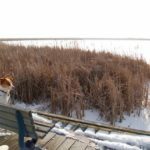 Just over two decades ago, I had taken my family and grandchildren to the African Lion Safari, the famous Ontario outdoor wildlife park where the beasts of the wild run free. Now, years later, I decided to take my eldest grandson, Laith and his wife Maria along with their two sons, my great-grandchildren Bilal and Tamer, six and five years old respectively, to repeat the past. My daughter Muna, their loving and devoted great-aunt, also joined us. During that first visit years ago with my grandchildren, they were terrified once we met the animals and I hoped that this time things would be different. I believed that my great-grandsons would be more receptive to wild animals since they constantly talked about Wild Kratts, an animated educational children’s program making children familiar with zoology. Their obsession with this program made them advocates of animal life, especially that of the wild. In fact, Bilal and Tamer shocked me during our visit to the Royal Ontario Museum in Toronto by their knowledge of the names of all the dinosaurs on display, perfectly pronouncing their long-complicated appellations and identifying which of them was carnivorous and which of them followed the herbivorous lifestyle. These precocious children were not afraid of these huge skeletal remains and with this in mind, I wanted to show my love and pride in them by taking them to a destination where they could see the real kingdom of the jungle. 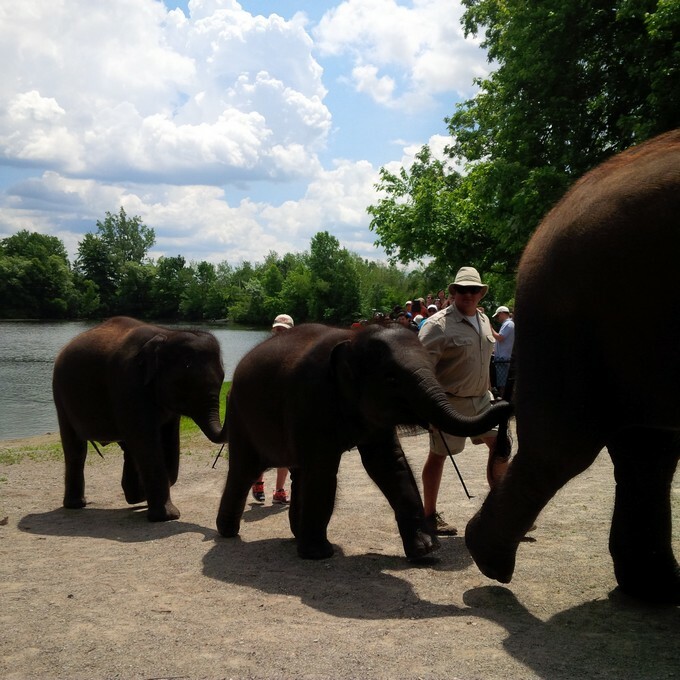 As we drove through the gate into the park, I had a feeling of satisfaction thinking to myself that this day my great-grandchildren would be thankful that I was taking them to visit this world of animals in southern Ontario – located some 64 km (40 mi), an hour’s drive from Toronto, London or Niagara Falls. I hoped that like all city-bred children, the little boys would appreciate seeing some of the 1,000 wild birds and animals of a hundred species from all over the world. Not confined, they roam free on a 304 ha (750 ac) reserve, designed to replicate the animals’ natural setting, on an area of land at Cambridge, midway between the cities of Kitchener and Hamilton. 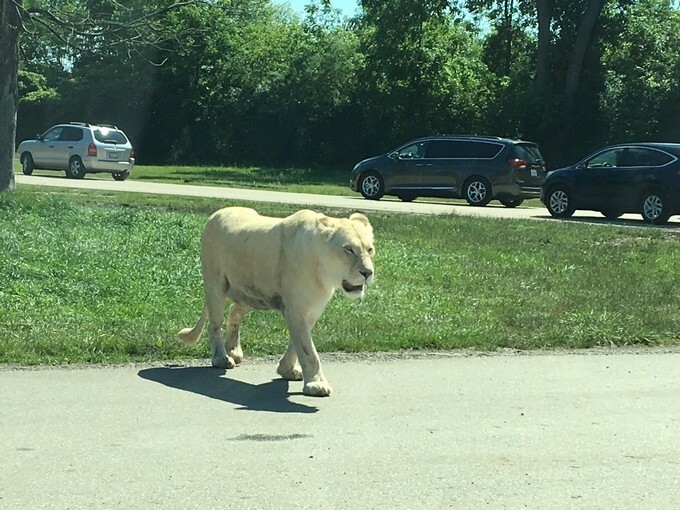 A zoo in reverse that cages the visitors in their autos instead of placing the animals in enclosures, the African Lion Safari Park, plays host to near 500,000 annual visitors. The Park was the brainchild of Colonel G.D. Dailley who, as president of a conservation organization, founded it in 1969. Responsible for establishing similar parks in other countries, he was very familiar with how to run a wild animal sanctuary where one can see from the safety of vehicles the untamed beasts living naturally. 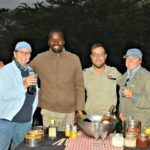 During the 48 years of the Park’s existence, African Lion Safari has been breeding rare and endangered species and over the decades, it has supported by way of various projects and funding the conservation of wildlife worldwide. This and the park’s breeding programs have given it international recognition. I could barely hear our conversation in the car as the boys were excitedly discussing among themselves the animals of the wild. As we entered ‘Simba Lion Country’, Tamer suddenly blurted out, “Look, a lion! I saw it. It’s a lion!”. Bilal in awe shouted, “It’s a female lion! It’s coming towards us!”. Suddenly silence in the back seat as the boys stared out the windows. The lioness had approached our car and let out a large roar. The boys were terrified. As Bilal uttered his famous words, “That roar is a message. It means that other lions are coming to attack! 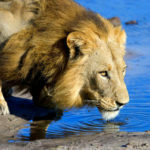 When a female lion makes that roaring-hissing sound, it’s looking for the male.” Tamer, unintelligible at this moment of hysterics, pleaded with me to lock the car doors. I assured him that all windows and doors were secure and that there was nothing to fear. With the lion at my car door, Laith, more interested in taking pictures, and Maria in the back quietly repeating, “Oh my goodness! Oh my goodness!”, I decided to try my best to alleviate a tense situation. “Bilal, Tamer, look at that magnificent male lion sitting in the shade with his harem around him! What a lucky guy!” Bilal’s response to me was simply, “Can we just go?” “Can we just keep going?”. With this unnerving experience behind, we moved on with the stopping and crawling traffic. A short distance away, in ‘The Rocky Ridge Veldt’, a lone ostrich standing by the roadside, got my attention. 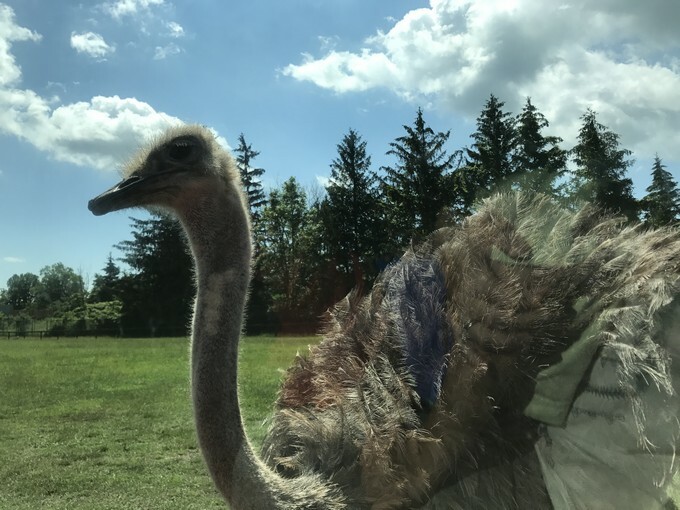 Figuring that the moments of fear in the children had passed, I pointed out the splendid ostrich that had stopped at the side window of the car. While it stared haughtily at us, it lifted its wings and let out a huge explosion of excrement. Needless to say, this did not go well with the boys. And when it began again to look into the window, it opened its mouth, apparently begging for food. Tamer jumped out of his booster seat in the back and tugged at my shoulder begging me to lock the door. Again, I consoled the young man explaining that we were secure inside. This did no good. He implored me with words that I love to hear from him, “I love you Jiddy (grandfather) but I will love you more if you make sure the windows are closed. Check the doors! They have to be locked!” In the meantime, my daughter Muna, was in hysterics, laughing to the point of crying. She protectively cuddled the boys but still the scenario was hilarious. As we left the ostriches, I turned to Laith, “I can’t believe that the boys are afraid of ostriches!”. Laith calmly looked at me and shrugged, “City boys. What do you expect?”. 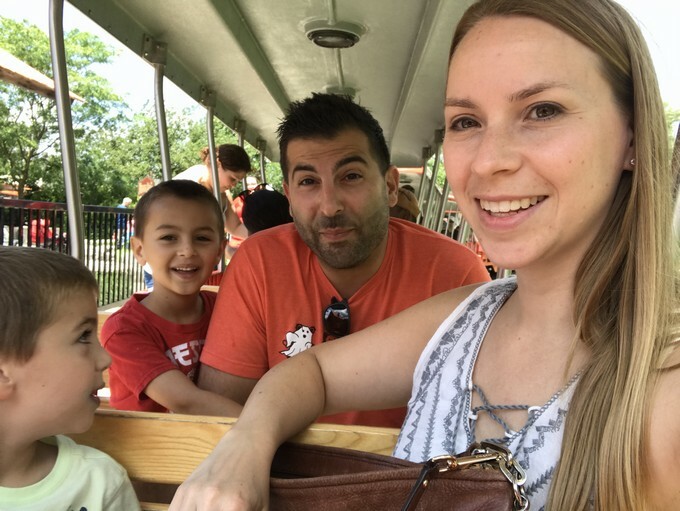 Perhaps he remembered his own experience at African Lion Safari when he was almost the same age as Bilal and Tamer, when he counted the minutes to leave the park. 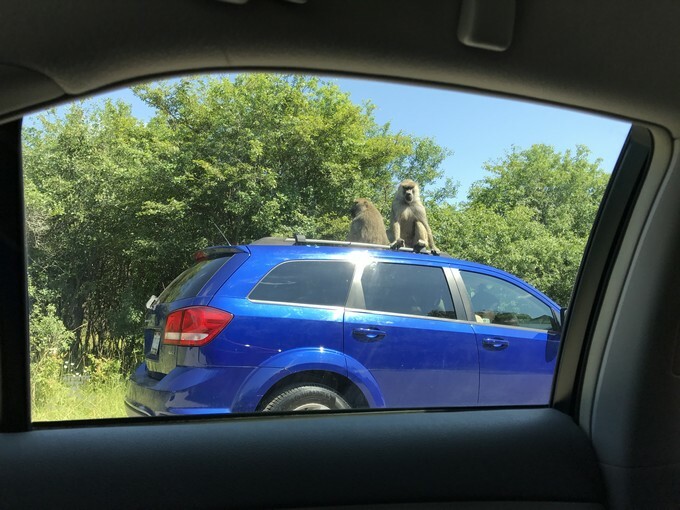 Ontario African Lion Safari – Baboons on a car. A few moments later, in ‘Wankie Bushland Trail’, we were driving through baboon-land. They were everywhere. Swinging from trees, playing in the middle of the road, jumping on top of cars, they brought a smile to the boys’ faces. Everything was fine until they saw some baboons sitting atop a car that was driving alongside us. All of sudden, Tamer blurted out, “There’s a baboon on the car. Look Bilal! He’s on the car. Oh no! There’s 3 of them!”. Clinging to Muna, the two boys declared that they had seen enough of the baboons. Laith turned to his youngest son, “Don’t you like the monkeys?” Tamer responded with one word. “No!” “Tell me why you don’t like them”, asked Laith puzzled about the answer. “Because they can jump on our car, rip things off of it, and scratch the paint”, Tamer declared with confidence. Bilal muttered something about being disgusted by their ‘red bums’. Trying to ease the tension, Laith and Maria pointed to a baboon in front of our car and told the boys to look. “We’re so lucky to be so close to it”, Maria explained to her sons. But this was to no avail as both boys cried out, “Oh! No! Let’s get out of here. 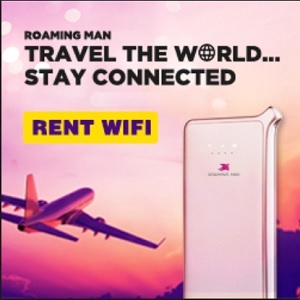 Let’s go somewhere else where the animals don’t come near us!”. As we drove away from the baboons, Tamer mouthed words to the car driving slowly next to us, his face so serious while pointing up, “Are there any monkeys on top of our car?”. The driver shook his head in the negative. Bilal sighed with relief, “Whew!”. Funny how history repeats itself – my second eldest grandson Mazin, on our first trip with him to the park just over 20 years ago, asked the same question but wrote it on a slip of paper, latching it on to the back window hoping that drivers behind us might be able to answer his question. 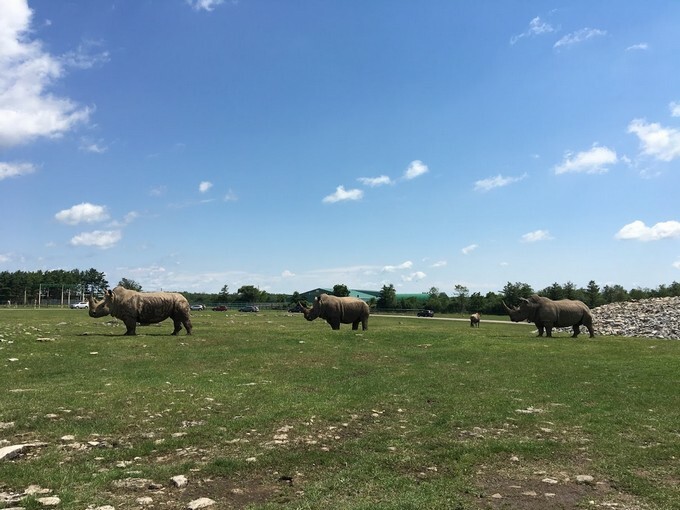 Moving on from the baboon fiasco, we drove along to the next site turning a corner and coming face to face with the magnificent rhinoceroses. They were about 50 feet away and the kids were in awe. Maybe it was because of their size or their prehistoric appearance that kept the children entranced. Suddenly, two rhinos that were approaching us started to lock horns. Laith began to take a series of pictures, mesmerized by the magnificence of their stature. They were getting closer and I felt some apprehension. My feelings were confirmed as we saw one of the park’s wardens quickly drive towards the fighting males, obviously anticipating a problem. 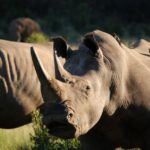 But I was thinking, as the rhinos slowly moved towards our car, that they might just overturn our car if agitated. After mentioning this possible danger to Laith out loud, I suddenly realized my mistake. Not skipping a beat, Bilal and Tamer cried out in unison, “We need to get out of here! They’re going to attack our car! We need to get out!” I tried to calm the boys but the damage had been done. We quickly left the scene as we watched the warden drive in circles around the two rhinos in his attempt to stop the fight. Now, as we moved on, anxious about the increasing fear of the boys, we returned to where the giraffes and zebras intermingled. Bilal and Tamer were in their glory. The calm nature of these beautiful animals put the boys at ease. As both species munched on grass and leaves, my great-grandsons impressed me with their detailed knowledge of these animals. Nearing the end of our safari tour, we passed the bison, gazelles, kangaroos and other seemingly tame animals. At this point, all we had were favourable comments from the boys. We ended our safari tour by watching the elephants bathe in Recreation Lake on the reserve. They frolicked in the water and even shot water from their trunks at the visitors. After about half an hour they left walking between the crowds one-after-another joined trunks to tail. A beautiful scene of nature by these large animals. From the mouths of babes, not all words are logical! 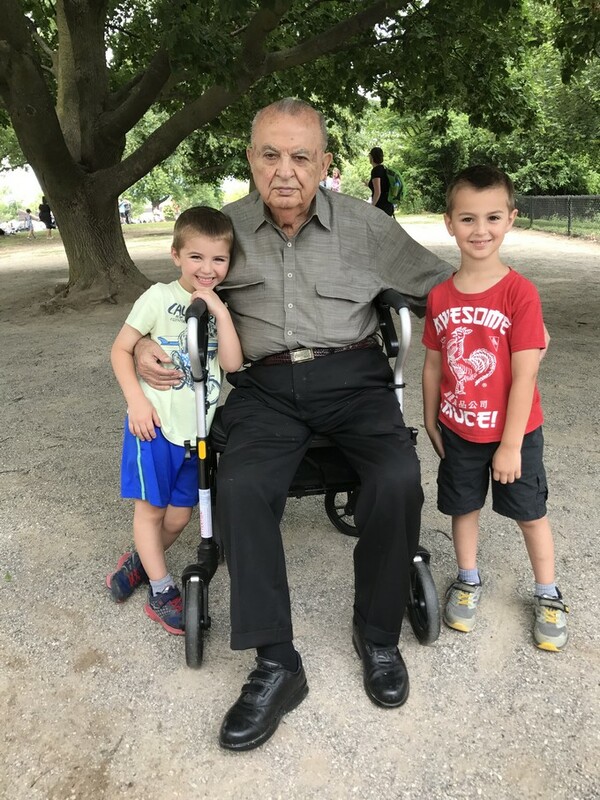 Ontario African Lion Safari – the author Habeeb Salloum with his great-grandchildren Tamer and Bilal. 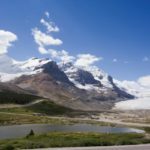 The park is open from the first weekend in May up to the weekend of the Canadian Thanksgiving in October. Also, if one prefers not to drive through the it, there is an on-site bus in which to tour the park for a cost of $5.25 CAD per adult. From May to the beginning of September, adults $35.95 and children $26.95. From September to the closing date in October, the rates are slightly less. 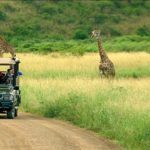 The African Lion Safari offers two tours for no additional cost: one is by boat around a lake whose islands are inhabited by various primates of the world; and the second by train through a natural wetland. Unruly behaviour and profanity is not allowed in the park and no alcoholic beverages can be brought into the park. Make sure to keep the windows closed at all times and the doors locked.